SINGAPORE - (THE NEW PAPER) After more than four months of renovation, Shelter In The Woods has reopened its doors. Besides a fresher, brighter interior, the biggest change is in the kitchen. Japanese chef Masashi Horiuchi is on board as consulting chef. He spent more than 20 years in Europe working for top chefs such as Gerard Rabaey and Antoine Westermann. Before he came to Singapore, he was in London cooking at L'Atelier de Joel Robuchon. The food remains rustic, but has morphed from French to European. The menu has also seen updates of its signature dishes. I never had the chance to eat at the old Shelter, but the current incarnation is impressive. It's cosy, welcoming and busy even on a rainy night. The price of a meal here won't give you a heart attack but trying to get a taxi might. The restaurant seems to take the "woods" part of its name seriously. While Greenwood Avenue is hardly backwards - you can almost smell the money there - it is an adventure to get to if you rely on public transport. But if it's a cool evening, the walk in and out could be a treat. The Seafood Casserole ($35, serves two) is alluring even before I tasted it. It's fragrant, announcing the pleasure that follows. 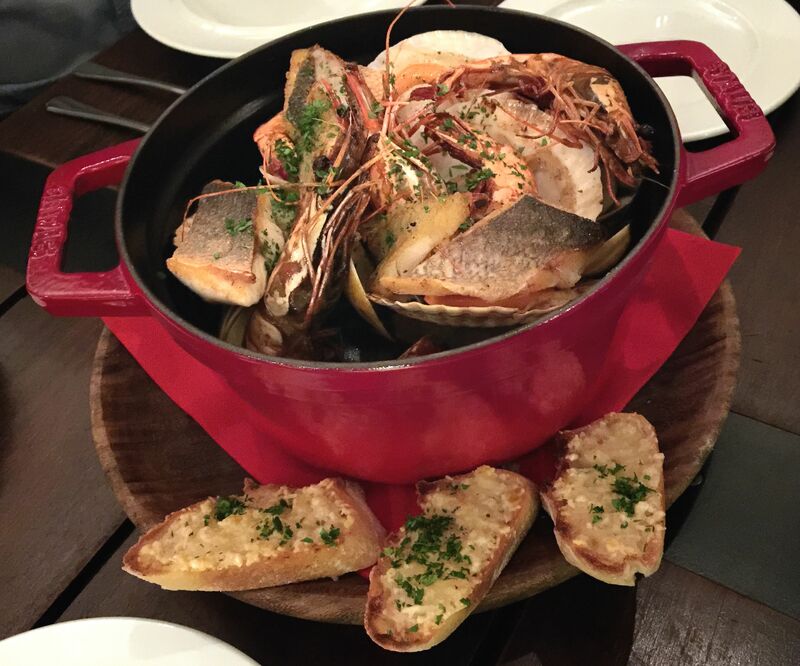 The soup, chiefly tasting of saffron and fish stock, comes with lots of seafood and chopped vegetables. It's rustic, hearty and delicious. 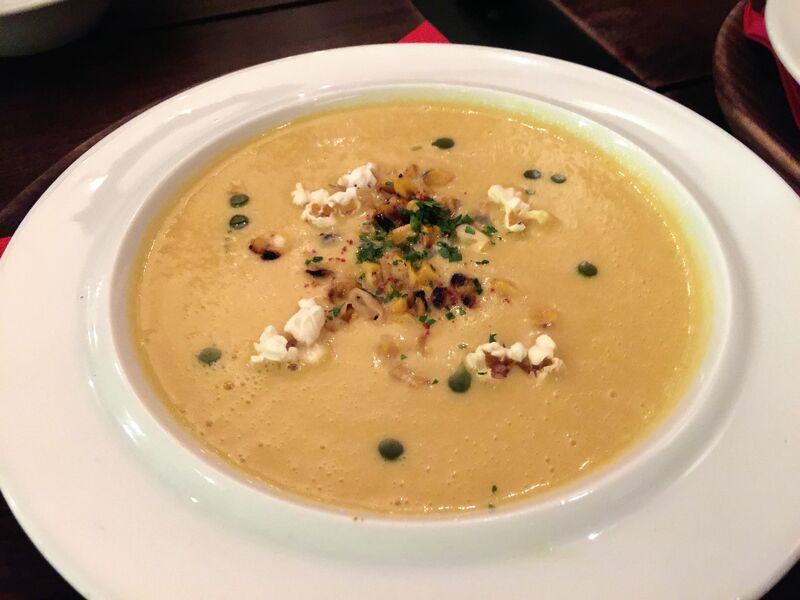 Don't be put off by the name, Creamy Corn Soup Trio ($12.50). It's a mix of boiled and roasted corn, blended with milk, served with roasted corn and popcorn. It looks unimpressive but it's pleasantly sweet and smooth. 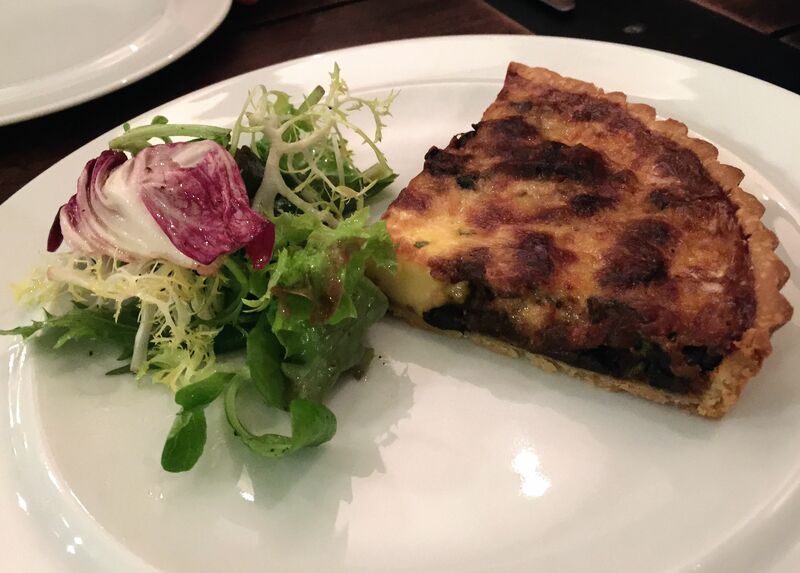 Regardless of what you think of quiche, try the Shelter Quiche ($12.50). It's just a small wedge but it's packed with flavours. The forest mushroom and the Gruyere cheese are a great combination. The Shelter Charcuterie Board ($30, for two) is like a "best of" of the charcuterie offerings at Shelter. 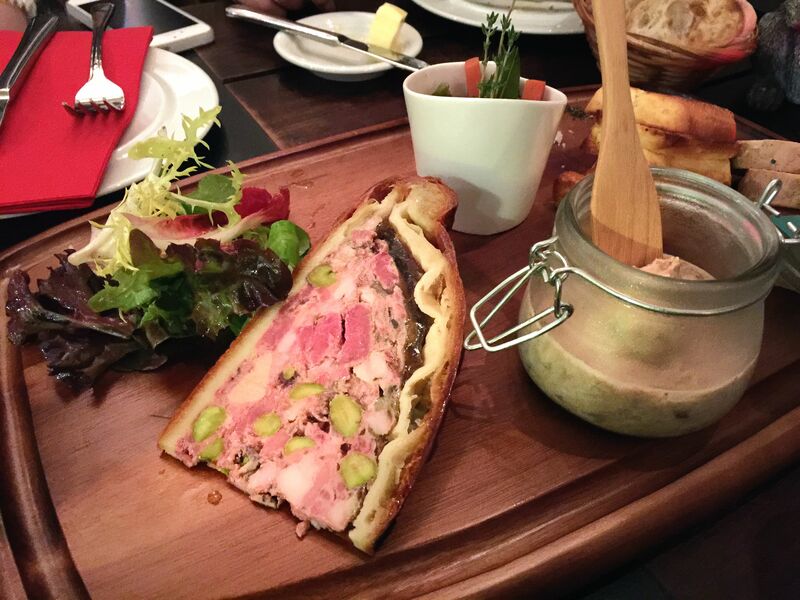 The pork rillette ($15.50 on its own) and the pate en croute ($18) are especially memorable. Shelter's Rotisserie Suckling Pig ($35 a portion) is cooked in the restaurant's gas-flame rotisserie. The skin came out crispy while the meat is still juicy. The sauce, made from pork jus and caramelised onion, added a creamy taste, countered by the acidity of the pineapple glaze. This article was first published on Dec 3, 2014.